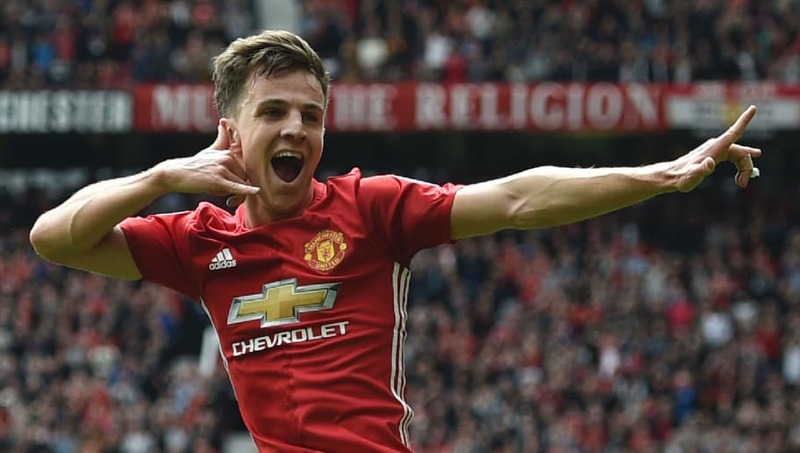 ​Home-grown ​Manchester United midfielder Josh Harrop, who scored on his senior debut at Old Trafford on the final day of the 2016/17 ​Premier League season, has officially signed with Championship club Preston North End. Harrop is out of contract this summer. But although he was offered fresh terms to stay at Old Trafford, the 21-year-old turned down a new deal to pursue first-team chances elsewhere. As such, Harrop becomes the latest United youngster to join ​Preston - following in the footsteps of Ben Pearson, Liam Grimshaw and Sam Johnstone (loan) in recent years. He has put pen to paper on a four-year deal at Deepdale and the two clubs have already settled on a suitable compensation fee - Harrop's age means that Preston must still pay a fee despite him technically being available as a free agent; no tribunal is necessary. A public statement from Old Trafford read, "Everybody at United would like to wish Josh the best of luck in his future career." Meanwhile, Stockport-born Harrop is delighted to have the security of a long-term contract and a clear path to first-team football. "I've got four years now at Preston North End where I know I am going to be and I am going to put everything into that and dedicated myself to do the best for the team and the best for the fans," he told his new club's official website. "Hopefully I can achieve my aims and ambitions that I have set myself by coming here and that's to get promoted with Preston North End and help the club get as high as we can." Preston have finished 11th in the ​Championship in each of the last two seasons since returning to the second tier in 2015 after a four-year spell League One.